President Abraham Lincoln set the precedent for America’s national day of Thanksgiving in a proclamation he issued in October of 1863. It’s important to note that at the time of the proclamation, the country was in the middle of the Civil War, which had ravaged the country with death and destruction. These were the darkest days in America’s young history. But Lincoln nevertheless petitioned all Americans to join him for a day of thankfulness for “the gracious gifts of the Most High God.” And so it was that the nation’s most unlikely President called the country to a point of humility and thanksgiving at a most unlikely time in history. 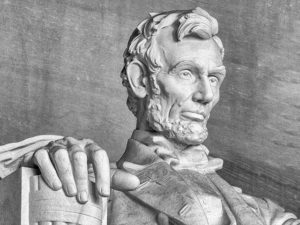 Lincoln began his proclamation by remarking that “the year that is drawing towards its close has been filled with the blessings of fruitful fields and healthful skies.” And that is certainly the case in 2018 for those of us at Schaffer Associates. The Lord has been good to us in many ways this year, and we are thankful for the blessings He continues to bestow on our organization. We also want to thank our clients, partners, and friends who have helped make this year so successful. Together we’ve successfully navigated a year of challenges and opportunities – and we continue to do so. We look forward to working with all of you in the final weeks of 2018 and for many years to come.